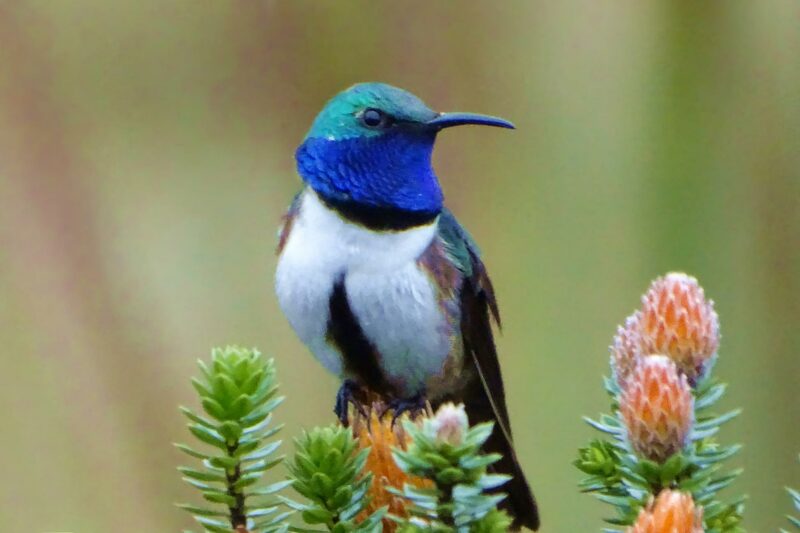 World Land Trust (WLT) has launched an urgent appeal to save habitat in southern Ecuador frequented by the recently described Blue-throated Hillstar, which is under imminent threat from mining. The metal-rich landscapes of Ecuador have seen an increase in industrial mining over the past 30 years and mining corporations have recently gained the rights to mine the hillstar's habitat in order to extract metals. Swathes of Ecuador's tropical forests have also been cleared so that metals such as copper, gold and lead can extracted from large open pits, which have proven a disaster for local wildlife. 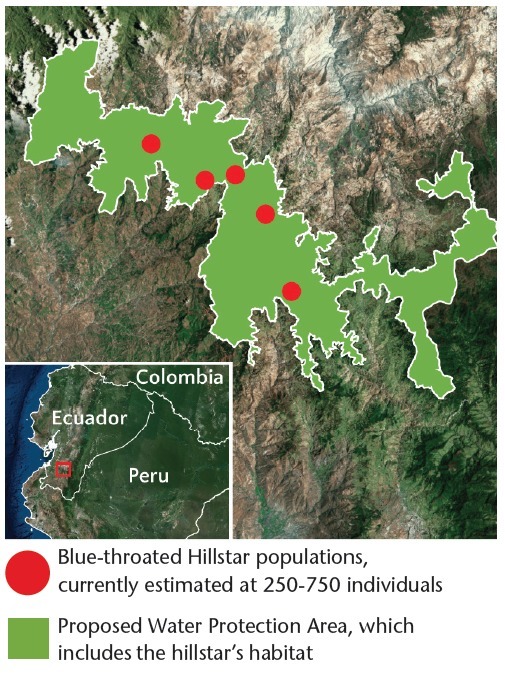 WLT has launched the Save the Blue-throated Hillstar appeal, which aims to raise £30,000 to enable its partner Naturaleza y Cultura Ecuador (NCE) to extend a Water Protection Area to include the hillstar's 70,000-acre range. By incorporating the hillstar's habitat in this area, it will have government-level protection and will eliminate the threat of mining, saving the rare hummingbird's habitat. Blue-throated Hillstar was formally described as recently as 2018 (F Sornoza). "This is a unique opportunity to save a Critically Endangered species from extinction," said Richard Cuthbert, Director of Conservation at WLT. "If we do not act now, mining corporations can move in on the habitat and create a mine which would most likely wipe out the hillstar population. "This situation is the perfect example of why habitat conservation is so important. Habitat loss is one of the greatest causes of species extinction worldwide, and for every habitat we lose, we eliminate a stronghold for numerous plant and animal species. For species such as Blue-throated Hillstar, with such a small range, this can mean extinction. The fact that we are continuing to discover new species in habitats facing threats like mining shows that we may not even be aware of the ecological damage these activities are causing." "Mining is happening in lots of areas in Ecuador," explained Bruno Paladines Puertas, Head of Community Development at NCE. "We are lucky that this area is in an early stage of the process before any construction has begun, so there is still time to act. The support of the communities and the Water National Secretariat (SENAGUA) mean that, if we act quickly, we can place this habitat under the highest level of government protection in Ecuador and the mining concessions will be lifted." As well as Blue-throated Hillstar, a new species of frog, Tik Tik Rain Frog, was also discovered in August, found very close to the eastern border of the proposed protected area. This unique páramo habitat is also home to Spectacled Bear, Mountain Tapir and the magnificent Andean Condor, among many other species. These mountains are still relatively unexplored by naturalists and, by protecting them, more species new to science may be discovered in the future. By donating to help save Blue-throated Hillstar's habitat today you will be securing a future for this species and perhaps also some that have not yet been discovered. You can find more information and donate online at worldlandtrust.org/hillstar or call the WLT office at 01986 874422. 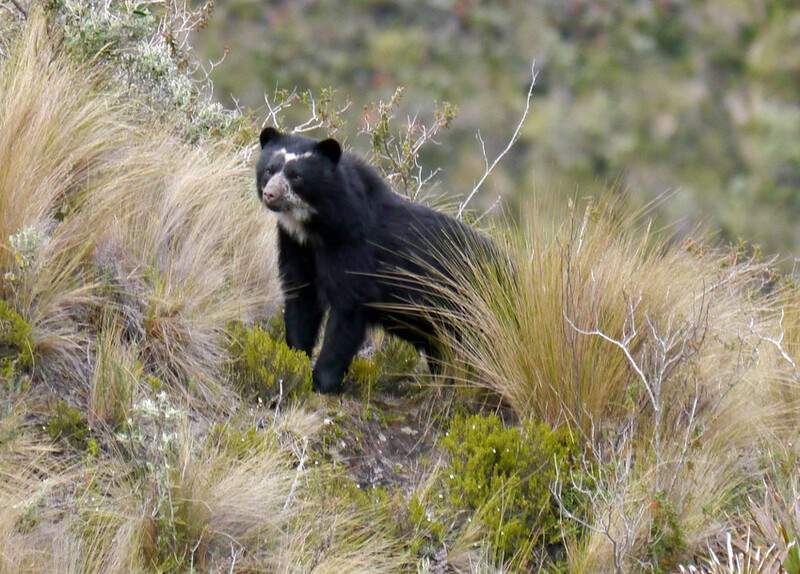 The páramo habitat which WLT aims to save is also home to threatened mammals such as Spectacled Bear (Nigel Simpson).